Professional photos of a property can help garner interest by making the house look more attractive and welcoming to potential buyers. The National Association of Realtors found that 98 percent of buyers found the photos of a listing to be one of the most important features when it came to looking at real estate websites. Redfin, a company that specializes in real estate, found that 92 percent of home buyers will use the Internet when looking for a new home. Redfin also found that listings with high quality photos sold quicker and for a higher price. My goal is to provide you with photos that will give a good representation of the property. 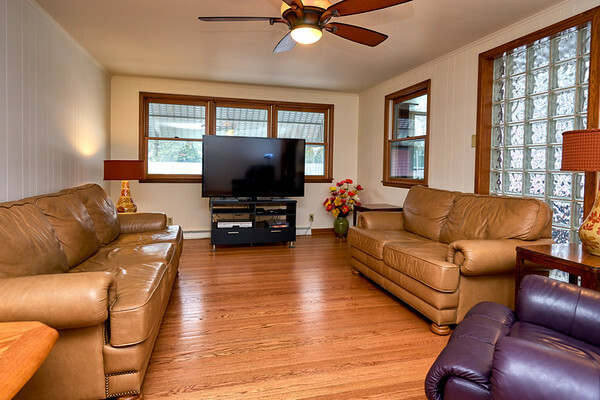 Using professional equipment and advanced techniques, I can create photos that will make your house look bright and spacious, this should help you get potential buyers to come by and take a closer look. I use flash photography techniques for my standard real estate photos. If you think this is a service that you'd be interested in, click here and fill out the form. I operate in the Green Bay area, however I am willing to expand the range, just let me know the location of the property and I'll see what I can do. If you are looking for something more, there are advanced lighting and processing techniques at an additional cost to make your house really stand out.